And the 2015 winner is… Abera Kuma. He escaped his competitors, and arrived solo at the Coolsingel. Kuma finished the Marathon Rotterdam in 2:06:46. 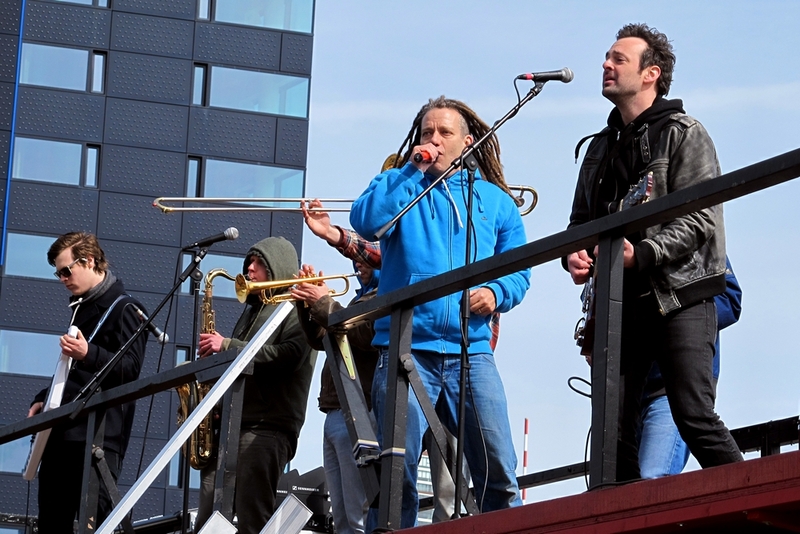 April 12, the Marathon Rotterdam took place. Weather conditions were pretty good, and the runners started expeditiously. After fifteen kilometers the group up front ran twenty seconds under world record time. But unfortunately that time profit was slowly reduced during the second part of the course. Towards the end, the battle was fought by Abera Kuma (Ethiopia), Bernard Koech (Kenya), and Benjamin Kiptoo (Kenya). Two kilometers from the finish Kuma escaped his competitors, arrived solo at the Coolsingel and finished in 2:06:46. Second best was Benjamin Kiptoo (+35 seconds) and third best was Bernard Koech (+75 seconds). 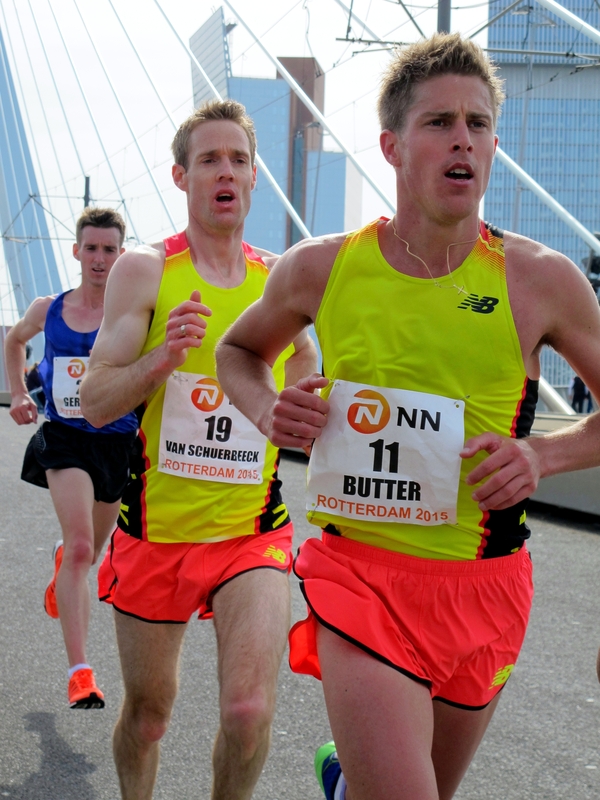 Best Dutch runners this year: Abdi Negeeye (2:12:31), and Michel Butter (pr 2:14:01). Check our photo & video gallery. 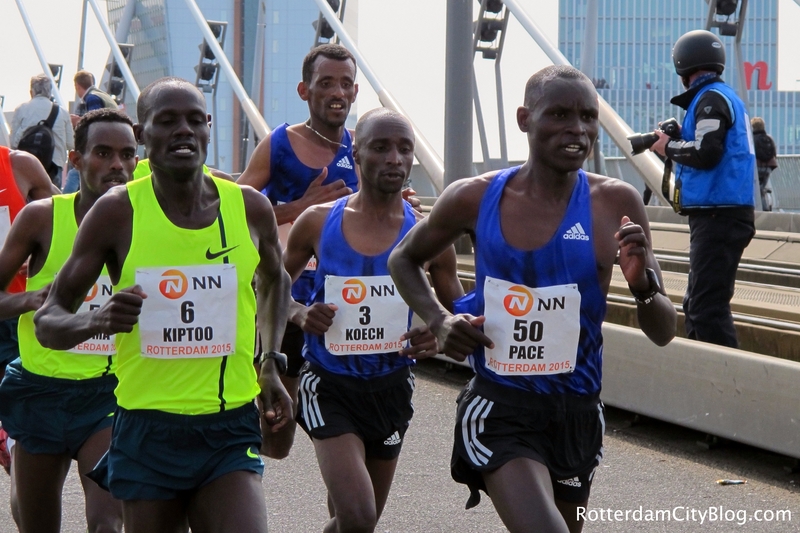 NN Marathon Rotterdam route through the city.